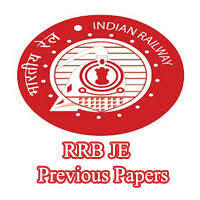 RRB JE Previous Papers are provided here to download. Railway Recruitment Board is conducting Railway Exam for various posts. Candidates can apply for this RRB Recruitment before the last date. Candidates who are going to write the RRB Exam can download the Railway Exam Sample Papers on this page. Here, we are providing Railway Engineer Question papers for various subjects. Aspirants who have applied for RRB Exam can check RRB Jr Engineer Exam papers provide below. Click the desired RRB Previous Year Question Papers link for better preparation. Here we are providing paper wise Indian railways Model Papers for your convenience. Candidates preparing for Eligibility Exam Conducting by Indian Railways Recruitment Board can also get the RRB JE Exam Pattern, Syllabus, along with Railway Exam Previous papers.